STANHOPE, John Spencer. 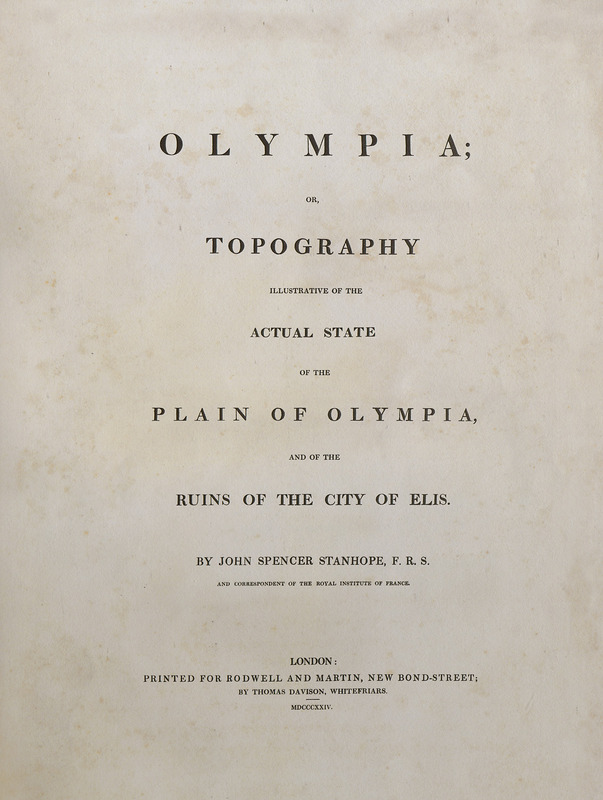 Olympia; or, Topography illustrative of the actual state of the Plain of Plympia, and of the Ruins of the City of Elis, London, Dodwell and Martin, 1824/ Athens, 2010. SPENCER-STANHOPE, John. Olympia; or, Topography illustrative of the actual state of the Plain of Plympia, and of the Ruins of the City of Elis, London, Dodwell and Martin, 1824/ Athens 2010.